In my previous article, I wrote about the ongoing GM rice scandal in Turkey from U.S. imports. Istanbul Technical University Molecular (ITU) Biology-Biotechnology and Genetic Research Center rice specific Real-Time PCR and DNA sequence laboratory analysis of samples revealed the presence of both (US-Bayer) LL601 and (Chinese) Bt63 GM rice in the same sample, a first-time worldwide occurrence. Three companies – the ABC’s of agribusiness, ADM, Bunge and Cargill- control nearly 90% of global grain trade. The import documentations reveal that the rice was imported from the U.S. from two of these companies: Archer Daniels Midland (ADM) Rice and Bunge Ltd. According to USA Rice Federation, Turkey imported 147,757 metric tons of U.S. rice in 2012, valued at $63 million. Leaving Cargill aside because they are not involved in the scandal, let us take a brief look at ADM and Bunge Ltd.’s past and present records. In the mid 1990’s, ADM and several senior executives were indicted on federal criminal charges for engaging in price-fixing in the international lysine and citric acid markets. In 1997, ADM was fined $100 million and in 1999, three top ADM officials were sentenced to federal prison to a total of 99 months. Both were record anti-trust fines in U.S. history at the time. 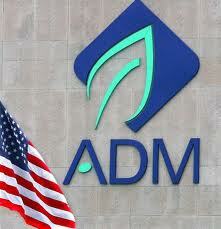 Moreover, ADM was later fined almost $50 million by the antitrust authorities of Canada, Mexico and the European Union. The story was published by journalist Kurt Eichenwald in The Informant in 2000, and was later adapted into the 2009 Soderbergh film starring Matt Damon as the whistleblower ADM executive Mark Whitacre. As for Bunge’s environmental record, Rainforest Action Network (RAN) has being accusing Bunge “of disregarding human rights and the environment and accused Bunge-whose profits reached a record high last quarter-of benefiting from the global food crisis, using slave labor in Brazil, and causing deforestation of the Amazon Rainforest and the adjacent Cerrado.” The largest soy exporter from Brazil, the company also uses native wood from the Cerrado to power its soy facility. 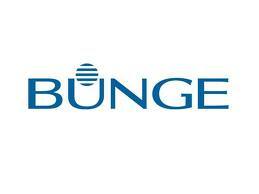 Bunge, one of the companies behind the expansion of soy production and ethanol production in Brazil, is one the major contributors of deforestation and the displacement of indigenous and other small farming communities. Part 3, will deal with the cover up efforts of the current scandal in Turkey and the U.S. hidden agenda behind these efforts. Previous article: GM Rice Scandal in Turkey from U.S. Imports Reaches International Proportions. Part 1 – Background. Bu yazı English, GDO içinde yayınlandı ve ADM, Amazon, anti-trust, Archer Daniels Midland, Argentina, Bayer, biodiesel, Brazil, Bt63, Bunge, Canada, Cargill, Cerrado, China, citric acid, Coca-Cola, Daimler, deforestation, DNA Sequence Analysis, ethanol, EU, Eurofins, European Union, flase invoice, fuel, Göze Tarım, GM Rice, GMO, high-fructose corn syrup, jatropha, Kurt Eichenwald, LL601, lysine, Mark Whitacre, Mexico, Patricia Woertz, Pepsico, price-fixing, rainforest, Rainforest Action Network, RAN, Real-Tİme PCR, rice, slave labor, soy, The Informant, Time Magazine, Turkey, U.S.-China Business Council, USA, İTÜ olarak etiketlendi. Kalıcı bağlantıyı yer imlerinize ekleyin.